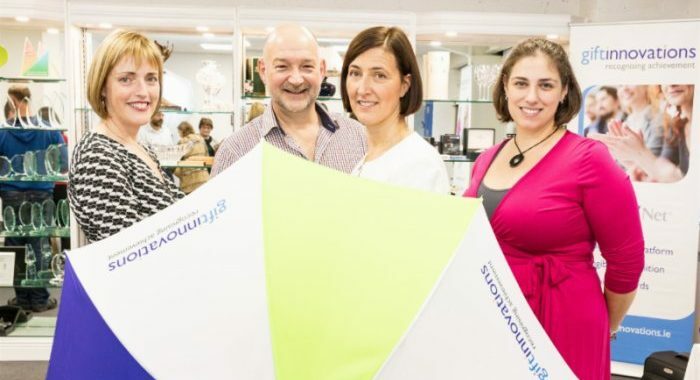 Limerick-based Gift Innovations has expanded its business to meet a growing demand for carefully selected corporate promotional products. Recognising how organisations are using promotional products to enhance their employer brand experience, Gift Innovations saw an opportunity to complement their existing rewards and recognition offering. The company, founded by Ann Lyons, has also invested in new facilities at Ashbourne Business Park to provide showrooms and to facilitate its growing storage and fulfilment requirements for clients. Trusted by some of the largest multinationals in Ireland as well as indigenous SME’s, Gift Innovations delivers recognition and innovative gift solutions to recognise, reward and retain employees and customers. The company now employs five people. Gift Innovations now offers a range of promotional products from pens, cups and tech gifts to branded clothing, bags and umbrellas. They work closely with clients and suppliers so the right products are sourced, branded appropriately and delivered on budget. With their new storage facilities, they can also store products and fulfil delivery on-demand. Branded promotional products help to create awareness around internal initiatives like well-being and onboarding. They can also support staff retention interventions. Similarly, branded promotional products can complement existing recognition solutions. Gift Innovations continues to offer a wide range of recognition solutions including service awards, retirement gifts, glass awards and social recognition.